After many years of consciously raising a family using many healing modalities including naturopathy, homeopathy, aromatherapy, chiropractic and osteopathy, my constant search for a happy, healthy and successful family has brought the art and science of feng shui and dowsing into my life. I initially studied feng shui with Grand Master Lillian Too and more recently with Master Marie Diamond. 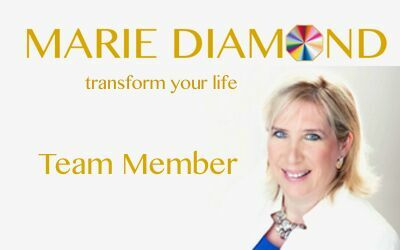 In addition to Feng Shui, Master Marie Diamond has brought forward the information on dowsing and with the additional mentoring from her associate and Master Diamond Dowser Annette Rugolo, I have developed a passion for these ancient practices. I have come to appreciate the potential of these ancient arts to work harmoniously in healing and uplifting the energy of our homes and work spaces. I am passionate about sharing this information with others so that they can also experience a transformation in their lives and the lives of their family. Initially, basic dowsing my home for environmental stress lines brought about an immediate improvement in the quality of my sleep, my ability to respond positively to stress, a welcome increase in energy levels and creative thinking. A negative vortex in my bedroom was contributing to my experience of very regular nightmares, which were distressing and exhausting. After curing this negative vortex I have not experienced a single nightmare and the quality of my sleep is the best I have ever had. The eldest of my two English Setters would avoid entering his sleeping crate every night. I discovered a negative vortex near the entrance to his crate and since curing this energy he happily goes to bed and sleeps here, sometimes not emerging until late morning. After completing the foundation of curing negative stress lines, I have now quantum dowsed my home to a very high level of energy and enjoy the benefits of this everyday. Feng shui has been part of my life for 8 years. Consulting with a feng shui practitioner on the energy of my home then inspired me to read and study this intriguing practice.The word synchronicity comes to mind when I think of the benefits feng shui has brought to my life. Subtle energies manifest that seem to bring the right flow at the right time – the healing modality you need is recommended by a friend, the book on knowledge and wisdom manifests just as you need inspiration and the relationship you have been seeking enters your life. The personal energy number system in feng shui has been very beneficial in helping me to attract successful outcomes and respecting the time cycles of feng shui by activating and curing the different energy flows has helped create more peace and balance, calming the often erratic high and lows of life.